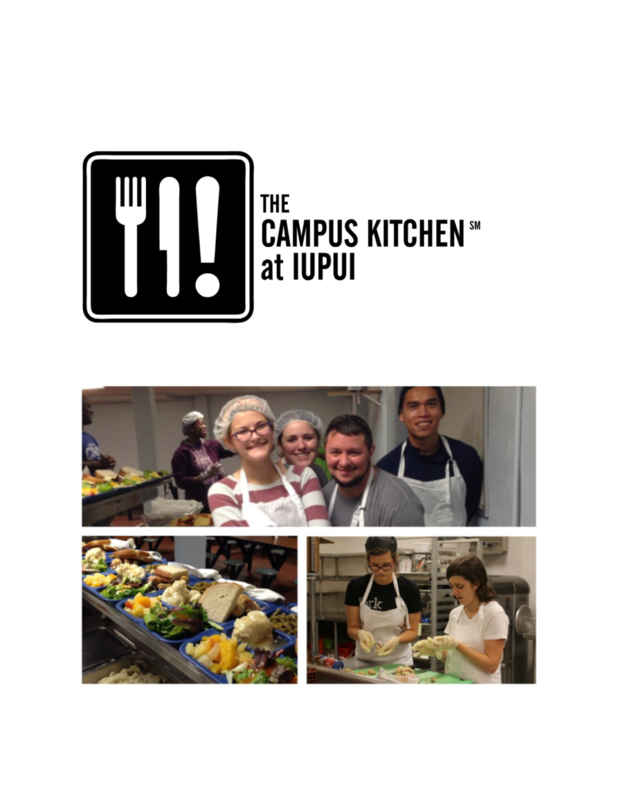 The Campus Kitchen at IUPUI (CKIUPUI) is a student-led food rescue organization that fights hunger in Indianapolis. Founded in October 2014, CKIUPUI is the only Campus Kitchen in the state of Indiana, and the 37th in the United States. CKIUPUI operates as one of 60 affiliates of The Campus Kitchens Project, Inc. (CKP), a national leader in community service and student-powered hunger relief. Administrative oversight of the CKIUPUI is provided by the IUPUI Office of Sustainability. CKP empowers students to implement innovative models aimed at combating hunger, developing sustainable food systems, and meeting the needs of the local communities they serve. The philosophy of the program is centered around its mission to: Strengthen Bodies by using existing resources to meet hunger and nutritional needs in our community; Empower Minds by providing leadership and service learning opportunities to students, and educational benefits to adults, seniors, children and families in need; and Build Communities by fostering a new generation of community-minded adults through resourceful and mutually beneficial partnerships among students, social service agencies, businesses and schools.